Former federal cabinet minister Peter MacKay spoke with the World-Spectator last week about the prospects for revisiting Energy East. 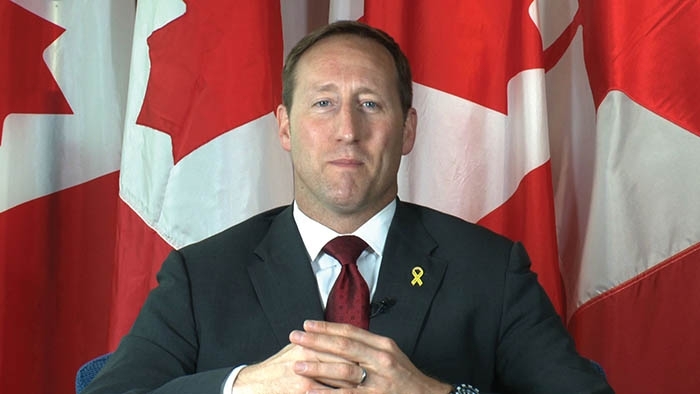 World-Spectator editor Kevin Weedmark spoke with Peter MacKay last week regarding Energy East and the efforts of the town and RM of Moosomin to restart the national discussion on the national pipeline project, which has been shelved by TransCanada. MacKay served as the Minister of Justice and Attorney General (2013–2015), Minister of National Defence (2007–2013), and Minister of Foreign Affairs (2006–2007) under Prime Minister Stephen Harper. Why are you interested in Energy East? Why is it important to you? I’m from Atlantic Canada, and like the impact on the West, it would have a massive impact on jobs and prosperity and helping people in that region—getting people to work. That’s my concern, that’s my interest. I was in government when we were trying to move all these projects forward and getting shut down at various junctures by court rulings and environmental activists, and all those who want Canadians to turn off the lights, walk around in bare feet and eat organic beets and do nothing. It stands to reason that we should be rallying support for this type of principled and lucrative business venture that would help everybody, including indigenous people. Including young people who want to stay and work in their communities. It’s beyond strange, given all of this talk about NAFTA, and the necessity to try to promote trade. One of our most valuable commodities is oil and gas, and we’re completely reliant on one market right now. We’ve just come through a very contentious trade negotiation where that market was being challenged and potentially limited. That, in a nutshell, is why I’m concerned about it. We have the refining capability in St. John, New Brunswick, that would add value as far as the actual refining, and from there it could be put onto tankers and shipped to Europe or to other locations that want clean, ethical energy produced in a way that people can be proud of. It has the geopolitical benefit of taking the monopoly away from Russia, where oil isn’t produced ethically, along with a lot of other places, like Algeria and Venezuela and Iran and a few other spots. There have been various pipeline proposals over the years, some of which have proceeded and some of which have gone by the wayside. Why specifically do you think Energy East is worthy of revisiting? It’s a nation building exercise. Not to get too maudlin or emotional about the issue, but like the great railway, it could bind this country from one side to the other. In the current regulatory environment, contentious disputes over creating these types of projects and infrastructure, I don’t think we could create a national railroad if we were to attempt to do that today. Do you think there is still a lot of support for a project like Energy East in Atlantic Canada? Do you believe a project like Energy East would be viable at this point? Do you believe it could be revived? The question has to be posed directly to the proponents. Like Kinder Morgan, like TransMountain, like all these pipelines it’s a private sector initiative. You will probably know they were not looking for government money. They were not looking to sell their rights to the pipeline. They were not looking for any kind of subsidy. They just, like Kinder Morgan, wanted the government to say they wouldn’t get in the way, that they wouldn’t throw up road blocks or regulatory problems. Unfortunately, that didn’t happen. 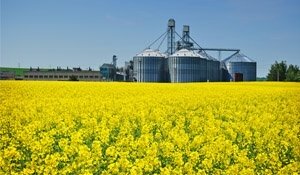 Unfortunately, the government moved the goalposts and changed some of the regulatory approval processes and that was the death knell. You also had a mayor of Montreal—Denis Coderre—who was very negative and doing all that he could to prevent Energy East from happening. But there’s a new mayor in Montreal, and in fact there’s a new government in Quebec. As circumstances and individuals and motivations change, I think there’s always a chance to revive the project, but the government is going to have to stop saying one thing and doing another, and truly get behind the project, and be prepared to truly push for the completion of the project, and do it the right way, to do it with consultations, to do it in keeping with the NEB, play by the rules, play by the book. I spoke with the person who was the vice-president of TransCanada when this was brought up. He said when they filed the application in 2014 they assumed it would go ahead within 24 months, because these projects always had. Instead there were delays, and then the rules changed. How did the system go off the rails? I’m flummoxed by that myself. Not to make this a partisan issue, but we were a very pro-pipeline government, but we found ourselves on the receiving end of bad decisions from the courts, for one. We’re becoming more and more litigious around this issue and the courts seem to find new and innovative ways to come down on the side of environmental activists with decisions that make it increasingly difficult to move projects of any size forward when resistance comes up. That’s not really an answer, but it’s a bit of an explanation of where we find ourselves. What needs to change to make projects like this viable? Part of it would be political will, which is hard to quantify, but it’s actually increasingly obvious to me that the current government wants to play to both sides. Unfortunately I don’t think—to be fair—that all governments have done a sufficient job of explaining it to the public—putting the job numbers out there, making the positive case for the development of energy projects and what it actually does for communities, how it helps increase economic prosperity for all, how it’s actually good for the environment and safe for the environment, how it gets oil and gas transportation off rail and roads and puts it in a much safer place so we can avoid these disasters like we saw at Lac Megantic, that we’re doing it in an ethical way compared to just about any other place on the planet when it comes to oil production and transportation. There’s a local committee of the town and RM of Moosomin that are trying to bring this project up for discussion again. Any advice for them? Kevin, I’m a believer in the power of one and when you have a group bigger than one that’s as committed and principled and attached to an issue, you would be surprised. One thing I would suggest is the local group reach out to some communities in Atlantic Canada, because that becomes a force multiplier. If you are able to say look we’ve got folks from either end of this pipeline that want it to happen, and you can work from there, bring some people in from all along the route, show momentum, get a case going, make it a pipeline of people in the first instance who are promoting this as a pan-Canadian project, something that’s going to help, and attach it to the emotional side of people having to watch their children go down the road. That’s been the story in Atlantic Canada for my whole life. I’ve seen people that I grew up with that wanted to stay, that wanted to be there to support their elderly parents, that wanted to raise their kids in their small community, and they had to go because there weren’t jobs. And you know where a lot of them went? Out west to work in Fort MacMurray, or to work in Saskatchewan or Manitoba, so they could make a living, so they could go back home. This isn’t transporting jobs, but it’s sharing what is a national resource, in a way that creates work everywhere. I think that’s part of the narrative that you can help tell better than me, better than anybody because you’re living it. Getting people connected who have the same basic storyline becomes like a massive snowball rolling across the country, picking up people as it goes.